The dark gray material is structural fill compacted level. The fill is cleaned and crushed recycled concrete. The next step is laying out the underground services (pipes and conduits) that will poke up through the concrete slab into the living space. The plumber needs to be able to pinpoint where those pipes come up relative to walls. Al, our construction manager’s ever-resourceful site superintendent had the clever idea to lay out the locations of all the walls using metal studs spiked into the fill. Unlike stakes and string, the studs aren’t going to move, and the plumber can measure accurately from them. 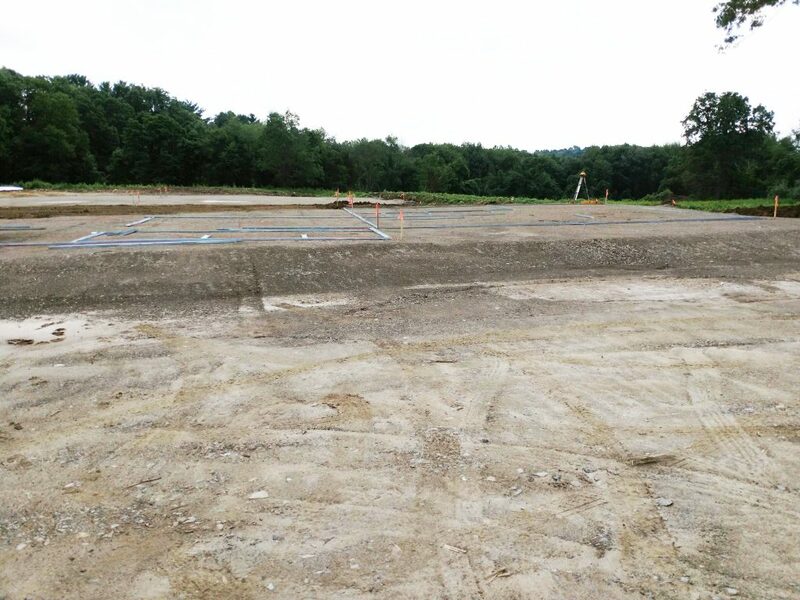 After trenches are dug and the pipes are in place, the trenches will be refilled and compacted again. 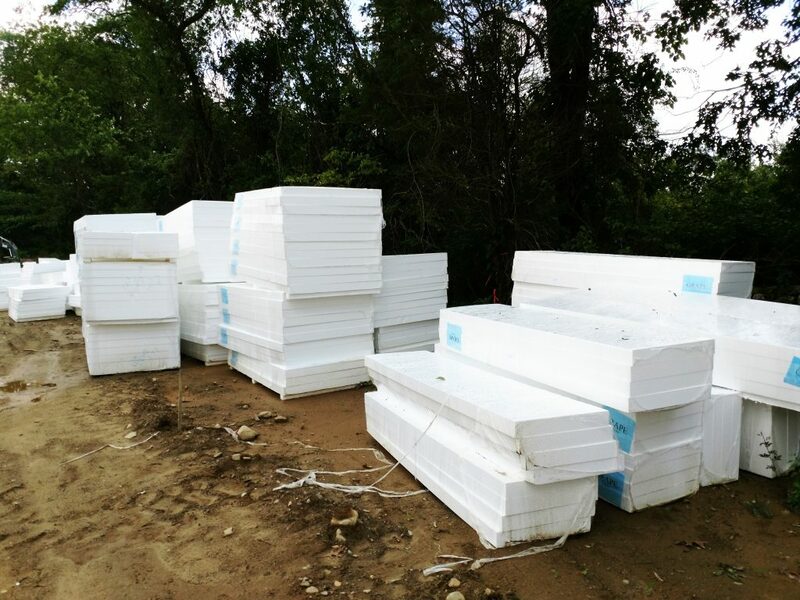 The next layer up from the fill is four-inch-thick rigid, closed-cell, high-density polystyrene foam insulation. Here it is, stacked and ready go to for the first two clusters. The concrete slabs will be poured on top of the foam. Stay up to date with Rocky Corner news. Sign up for our email list here. We won't bombard you, but you'll get periodic reminders for upcoming events.